Board-certified internal medicine physician and adult primary care doctor Mano R. Zachariah, MD, became a Rockland County resident in 2011 and has been serving his community ever since. By establishing his practice, TotalMedMD in Orangeburg, New York, “Dr. Zac” is realizing his long-held dream of providing high-quality medical care for his neighborhood. Dr. Zachariah earned his medical degree in 1995 from Mahatma Gandhi University School of Medical Education, Kottayam, in India. He then completed his residency training in internal medicine at Interfaith Medical Center in Brooklyn, New York. 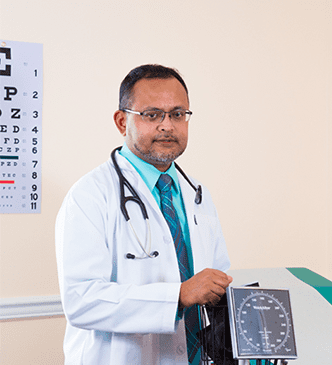 Since moving to Rockland County, Dr. Zachariah has served his community as an internist in several different settings. At TotalMedMD, Dr. Zachariah’s primary goal is to provide personal attention and accessible medical care at a small, neighborhood practice. Dr. Zachariah provides comprehensive medical care, including management of chronic diseases like diabetes and high blood pressure. He has special interest in working with older adults and persons with disabilities but sees all patients over the age of 18. In addition to seeing patients at TotalMedMD, Dr. Zachariah attends to his patients at Nyack Hospital and rehab centers around Rockland County. To provide convenient and accessible medical care, Dr. Zachariah has added a telemedicine health portal where patients may request early morning or late evening eVisits. Monday 12:00 pm - 3:00 pm Tuesday 3:00 pm - 6:00 pm Wednesday 2:00 pm - 6:00 pm Thursday 2:00 pm - 6:00 pm Friday By appointment. Saturday By appointment. Sunday By appointment.